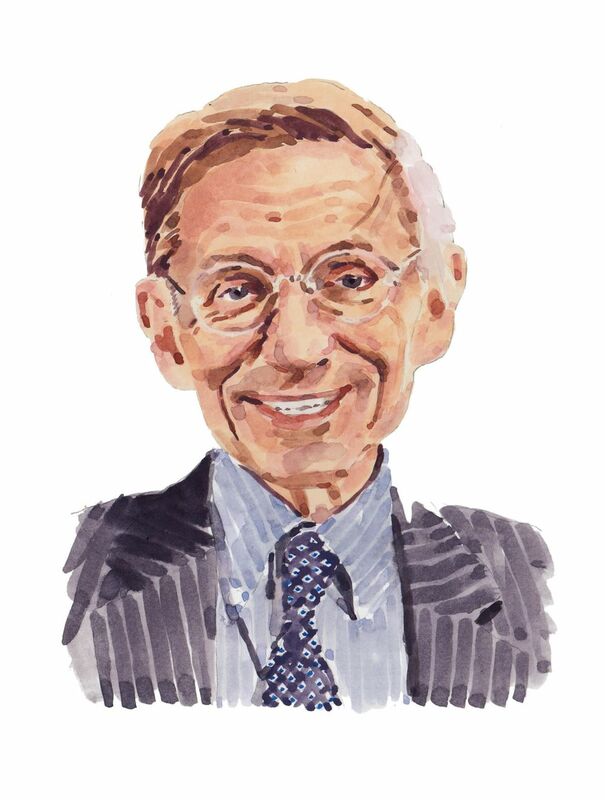 All Bill Drayton wants to do is change the world—so, pretty simple. In 1980 he founded Ashoka, a global association of social entrepreneurs whose flagship program provides up to three years of financial and logistical support for projects with the potential to do good on a large scale. After 3,800 Ashoka Fellows and one MacArthur Genius Grant, he’s still finding ways to wield his influence for the better. Drayton had a reputation as an around-the-clock worker, but one with a creative streak. “Much of what he did was very innovative and very controversial,” Gamse says. “A lot of times my first reaction would be, ‘This is crazy. This has no chance of happening!’ And then Bill wouldn’t let go.” He’s famous in policy circles for launching emissions trading, otherwise known as cap and trade, whereby companies can choose how to meet environmental targets, by reducing their own emissions, say, or paying another company with a better environmental record for emissions “credits. Drayton always understood that good policy ideas often come from entrepreneurs. An ideal Ashoka project isn’t about a particular school or hospital; rather, it helps eliminate a systemic weakness. Ashoka fellows can be widely influential: Half have seen their projects incorporated into national policy. By the mid-1980s, Drayton noticed that almost all Ashoka fellows had had an entrepreneurial experience as a young teen; even more striking, about a third of their projects addressed youth issues. “So now we had these two patterns together, both saying the same thing—that putting young kids in charge is really, really important,” he says. Ashoka now runs a full slate of programs aimed at teaching early teens leadership skills, including Youth Venture, which provides kids who have ideas for social-­entrepreneurial projects with help getting started. So far, it’s reached 15,000 kids in 40 countries. This year, Ashoka is working with teacher training institutes, teacher’s unions, parents, and school districts to teach them how to support budding change­makers. “Once they’ve had an experience where they’ve had an idea, built a team, and changed their world, they have their Ph.D.s in the most important skill in the world,” Drayton says.